- Read how 2018 could be a very 'twisted' year! 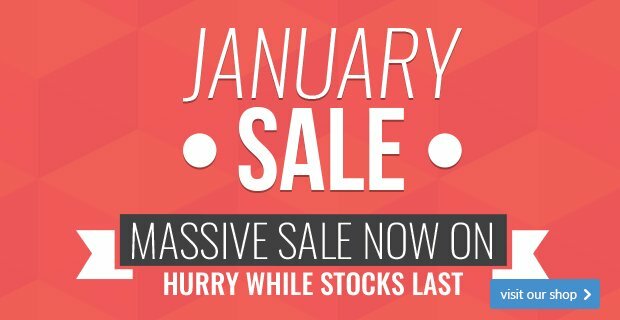 - The January Sale continues…. We played the first weekend competition of the year on Saturday and although it was cold thankfully the rain stayed away and the course was in reasonable condition. It’s been a while since Paul Underwood last won a competition but he started 2018 in the best possible way by finishing on top of the leaderboard in the January Stableford with 39 points, Paul started off steadily with 18 points on the front nine but he picked things up on the inward nine and scored another 21 points including a fine birdie on the 15th hole. Paul was the early leader in the clubhouse but nobody could overtake him, Andy Goolding came the closest after also scoring 39 points, including a birdie on the 11th hole, but he only scored 19 points on back nine and had to settle for second place, Andy also had the consolation of winning £14 credit in the two’s pool. Sue Gunning completed the top three positions by scoring 37 points. The next competition is this Sunday as we play round 6 of the Winter League starting at 11am before the Midweek Stableford next Wednesday. 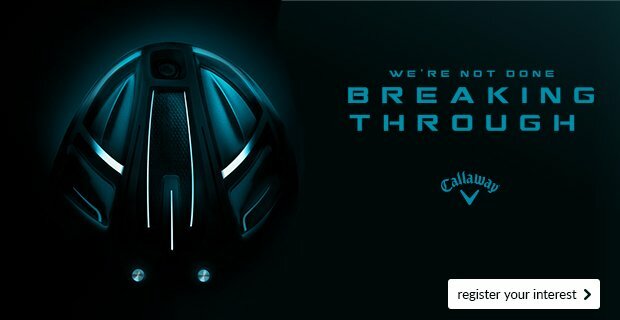 We were lucky enough to go to the Belfry last Friday to see the official launch of the 2018 TaylorMade range of equipment and it’s safe to say we were very impressed, TaylorMade always do a good job of hyping up their latest releases but on this occasion a lot of the buzz is much justified and you will definitely be hearing a lot about the latest innovation in Twist Face Technology in the next few months. 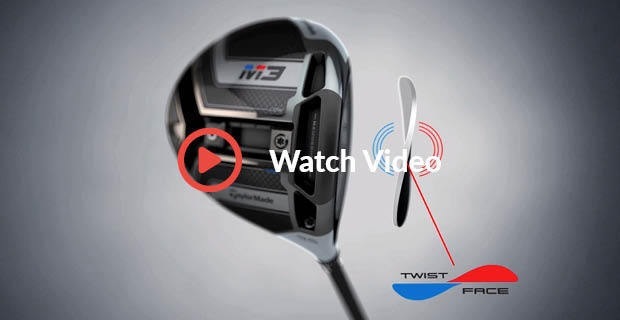 Twist face technology will feature in M3 and M4 drivers & it’s a radical departure from clubface design, a curved face allows more forgiveness on off centre hits and means that there is more chance of the ball hitting the fairway. A Hammerhead slot features in both drivers and it will help you increase ball speed through a larger, wider slot meaning the club face is lighter and more flexible, a sure fire key to increasing your distance. A new Y Track weight port features in the M3 driver and it allows more weight than ever to be moved around the club head with two independent 11 gram weights that can be positioned to best suit your shot shape. A new silver paint scheme on the crown of the woods makes them look appealing at address and gives the look of a club that will offer exceptional forgiveness and distance. Have a look at this short video from TaylorMade which shows the technology in action when it was introduced to their tour players. Click here to watch the tour player video. Almost all of the TaylorMade roster of tour players have put the new clubs straight into their bags and Dustin Johnson won the Sentry Tournament of Champions on Sunday in his first outing with the M4 driver, in case you missed it have a look at this amazing drive he hit when he came within inches of a hole in one on a 433 yard par 4 hole! 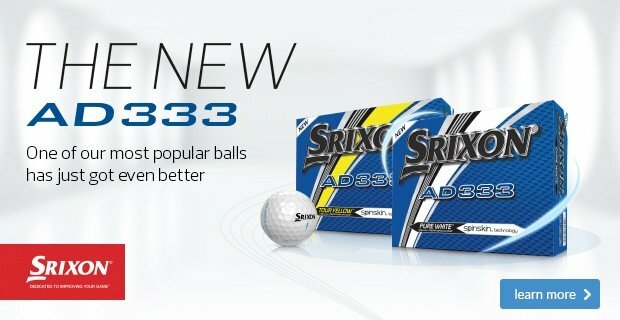 Now that you’ve read all about the new clubs and seen them in action we’re sure that you will want to try them - in terms of release dates, we will have all our trial clubs in before the end of the month for fittings and clubs can be ordered for delivery on their official release date of 16th February. Click here to book your custom fitting session. If you would like the chance to try the PING G400 clubs and receive a FREE expert custom fitting session, then now is your chance as we have a PING Fitting Day coming up on Wednesday 31st January from 3pm-7pm. 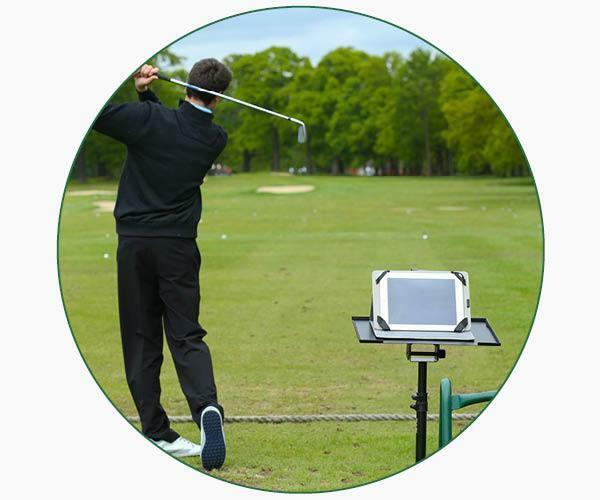 We can get you booked in for a 40 minute session and you can try and be fitted on any of the current PING range. There will also be some very special offers on the day, should you be tempted to purchase something! To book your slot please contact us here, we now only have 2 slots left at 3:40pm and 4:20pm, but you can just turn up if you want to try clubs but don't need a fitting. Shoe Sale – 25% OFF all pairs of shoes including FootJoy, Nike, adidas and Skechers. Bag Sale – treat yourself to a new bag for this year, 25% OFF all bags in stock inc. Motocaddy, Ping, Callaway, Titleist and TaylorMade. Glenmuir winter trousers half price were £59.99 now £29.99. Callaway ladies Big Bertha set of 8 irons were £999 just £599 – save £400. Titleist 816 hybrids last few left, were £179 now just £89. Our best ever membership deal – 15 months for the price of 12, 3 MONTHS FREE when you join now and be a club member until 31st March 2019. The Sale continues throughout the month but call in soon as the best deals are already being snapped up! Do you know we stock Skechers golf shoes? 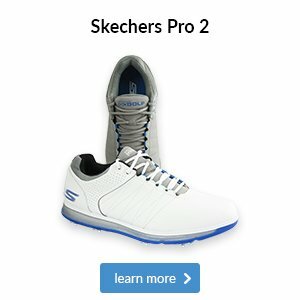 We should probably ask a different question to start things off: do you know Skechers make golf shoes? Well, yes they do and we are a proud stockist for 2018. Their goal is out-of-the-box comfort, an area in which last year's range definitely excelled. 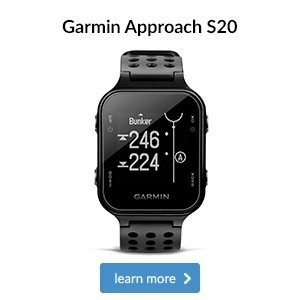 Plus, with the likes of Matt Kuchar and Russell Knox wearing Skechers on Tour, it's safe to say they come with tour-proven performance, too. The seniors had a wet start to the year last Tuesday as the played the fourth round of their Winter League, Chris Coates got his second win of the winter season with a 19 point score which was a great total considering the horrible weather conditions. Frank Yarwood was runner up with 18 points and Roy Strefford was third on 16 points. 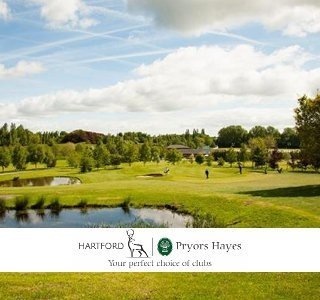 The next senior’s competition is their 9 hole Stableford on Tuesday 16th September 9:16am. The weather hasn’t been great recently but there has been some gaps in the weather and on the whole the course has remained open, sometimes it’s great to wrap up warm and get out on the course for some bracing fresh air and exercise in the Winter, here is a great photograph of three young golfers putting out on the 6th green just as the sun was setting. 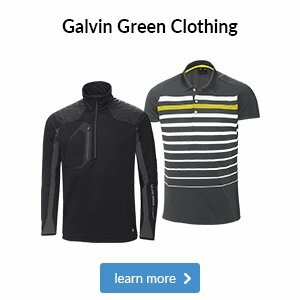 Last week we talked about how golf-specific clothing can aid you in beating any weather that’s thrown your way while playing. Another benefit is that you only need a few thin layers to remain nice and warm – long gone are the days of piling on thick turtlenecks and big knitted jumpers. 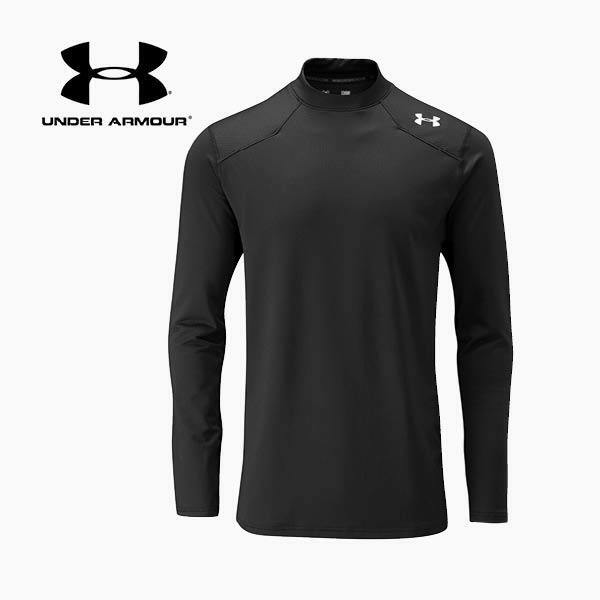 This Under Armour top is the perfect base-layer thanks to its comfortable brushed material, its dynamic stretch fabric and its insulation material that delivers both warmth and breathability so you don’t sweat and overheat. 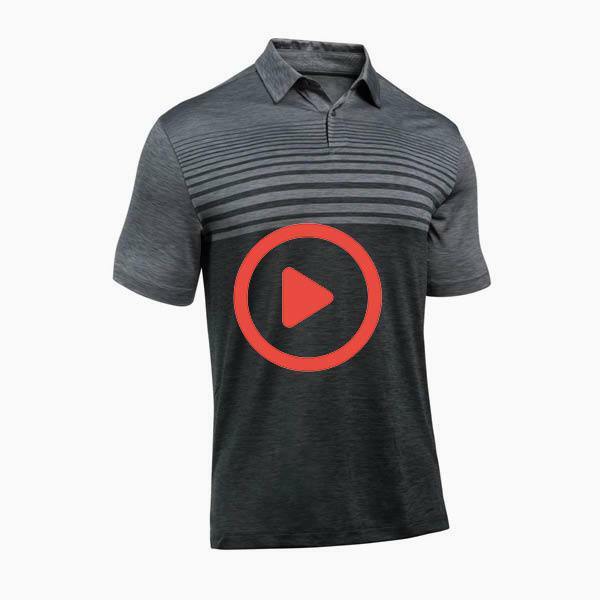 This sporty polo boasts fabric innovations including a CoolSwitch coating that wicks moisture away from your skin so you don’t overheat and a stretch material that enhances mobility so you can swing comfortably. Top off your outfit with something like this half-zip pullover. 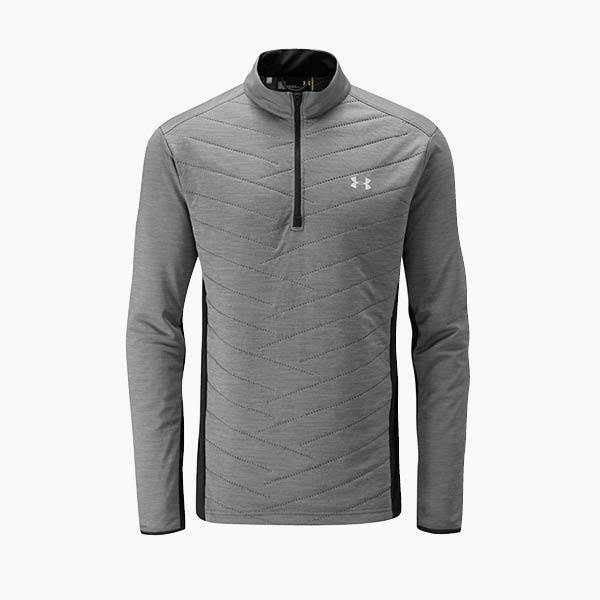 Its lightweight quilted fabric delivers warmth and Storm technology on its surface repels water, while stretchy side panels ensure you can always swing powerfully. Here in the pro shop, we have both the expertise and tools to be able to offer you a full custom fit. We often come across a common misconception that custom fitting is only for low handicap players, but this couldn’t be further from the truth. The more you struggle with distance and accuracy, the more there is to gain from playing clubs that are fitted to your swing; from longer carries and tighter dispersions to more consistent strikes. We also find that people really enjoy trying new equipment and learning about their swings, which often results in them being fitted for something completely different to what they’d expected at the beginning. 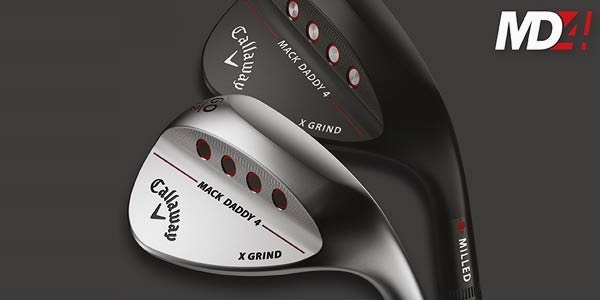 Those of you on social media may have seen that Callaway has just announced their new wedge for 2018: Mack Daddy 4. In brief, the MD4 comes with micro-ridges and micro-grooves on the club face, which provide surface roughness to increase spin significantly on a variety of shots. In addition, Callaway say this wedge produces the most satisfying feel they've ever accomplished in a wedge. Surely it's worth a try? An industry-changing advancement only comes around once a decade, but has TaylorMade just developed the next with their Twist Face technology?